The beginning of the alphabet. 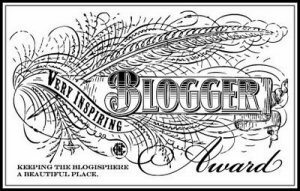 The first letter in April, a blogtastic month. What shall we discuss today, pray tell? On this day, I will be more awesome. From this day forward, I strive to be more awesome. This month is a big writing month for me. 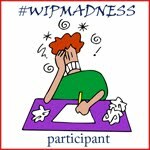 As I posted previously, I started this blog to chronicle my journey towards two novel drafts in April. I’ll be tweeting word count updates daily, if possible, and of course, blogging about it all. Yes, the irony is not lost on me that all of this commences on the Day of Fools. I laugh at this day and reclaim it as the Day of Awesome! This past week has been wonderfully awesome for me. I’m getting the hang of the blogging life. I’m excited of the stories waiting to come out this month. And I’m already building a following of people who appreciate me as much as I appreciate sharing my thoughts with them. Much love to all of you for that. Special shout out goes to Arlee Bird for founding such an awesome event. I look forward to many more blogging challenges to come. This entry was posted in Blogging A to Z Challenge, Camp NaNoWriMo, Savvy Authors Boot Camp and tagged Awesome, blogging, Blogging A to Z Challenge, writing goals. Bookmark the permalink. Excellent start and choice to the A to Z theme. Wait, make that “AWESOME.” (smile) Well, the goals are three-fold, depending on the site. Decided (foolishly/boldly) to blend in National Jazz Month with one of the A to Z themes and photos for the other. Goodness knows why. If you look to the left of my reply, I added another challenge to my plate: A Round of Words in 80 Days. This is what I get for checking out people’s blocks. Oh, wait. That’s the idea. 😉 I’m loving all these new discoveries that propel us into stellar writing zones. As far as your decision goes, I’ll pick bold over foolish, every time. great read .. looking forward to B tomorrow..!! Hello! They’re both new to me this year. So far, so good, considering my blog is five days old! 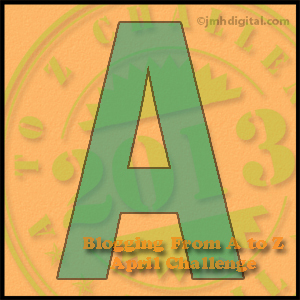 Today begins the April tri-fecta – Savvy Boot Camp, Camp NaNo, and the A to Z blog hop. Looks like we’re all off to an AWESOME start! Indeed. 🙂 I shall traverse the creative fog to check out your awesomeness yonder. This was a cute post today. Who could ever have to much awesomeness in one day. I don’t think anyone. I think we will all have an awesome month as we continue your A to Z writing fun. Thanks for stopping by and see you on the hop! Tonette, I know what you mean. I’ve had my daughter’s dedication site up and running since about three months after she passed. In the beginning, it was a lifeline to help get me through a very difficult grief journey as I mourned the loss of my beautiful eight and half year old little girl. Over time, my writing on her site has become less and less and farther in between. Yes, there are certain times of year that its more but I can sometimes go two or three months without anything. So I had decided to try an idea I saw in the movie “Julie and Julia” where the character Julie decided to take one year to go through Julia Childs cookbook and then blog about it. For me, I thought it would be a great way to write something every day on my daughter’s site. And so I started that at the beginning of February. I am using a book that will take me through 365 days of different words or phrases to write on. All the posts are either about my writing or my daughter or a lot of the time a combination of both. So far not many are following along with my journey, but that’s okay. I plan to keep at it no matter what. For me, it is freeing. I love how I can put my thoughts down on the “paper” and then share those over the virtual world around us. Great minds! I just wrote something similar about the freeing aspects of writing on your post. 🙂 The journey is primarily yours and it’s a privilege to those who decide to come along. I say, go big or go home. Since I’m already home wherever there’s a computer/wifi combo, I defy the rules and go big anyway. Your goals are Awesome – I’m just trying to get through the Challenge this month! You can do it. We’re all cheering each other on! I still think awesome refers to sunsets! Maybe it’s the fact that I’m not American! But I think it’s “awesome” that so many people are blogging in this challenge and it’s a great (awesome?) motivation! Now if I could just get my laundry into the wash before the day ends! Looking forward to tomorrow’s post. If only Rosie could take some time away from the Jetsons, the laundry thing would be a cinch. Congrats on the new blog and good kick-off to the Challenge! I give you mucho credit for working on 2 books at once. A fellow writer likens it to “juggling chainsaws”, and I understand why! Best of luck – looking forward to hearing more about your journey! Thank you! I’ve written simultaneous projects before but not of this magnitude or compressed time frame. Should be interesting. Having tried juggling chainsaws yet but they may as well be bopping and buzzing around in my head after what little sleep I got today! See you on the blog hop!